Basecamp time tracking is the best way to understand where you are spending the most time on your to-do lists and projects. Minterapp will help you find out where your time is being spent. We also have our Basecamp 3 Time Tracking Integration – You can integrate projects and use our chrome extension while you are on Basecamp to track your to-dos! Chrome Extension To Track Time! We want to share exciting news! Minterapp is now integrated with Basecamp so you can track time spent on your projects and invoice them easily using our platform. Unlike other integrations, you do not need to download any toolbar for a specific browser. Just connect your projects through our system one time, and anyone on your team will be able to start tracking their hours worked on the project. Start tracking your hours anywhere! Here is a quick step by step process of how easy it is to link your projects in Basecamp to our Minterapp time tracking/invoicing system. It is that easy. 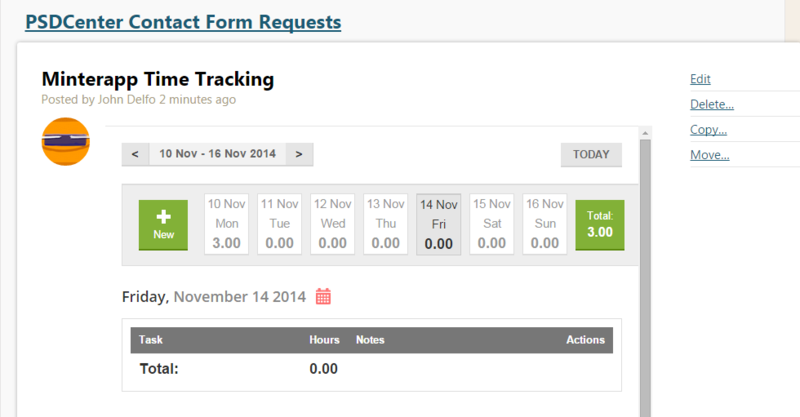 You will be able to track all time spent on your projects in Basecamp. Please share word that you can easily now track your time on your Basecamp projects with Minterapp. What are the major benefits of using Minterapp for your Basecamp time tracking needs? Easy monitor time spent on projects by tracking your time spent. Pull detailed reports from Minterapp admin section. 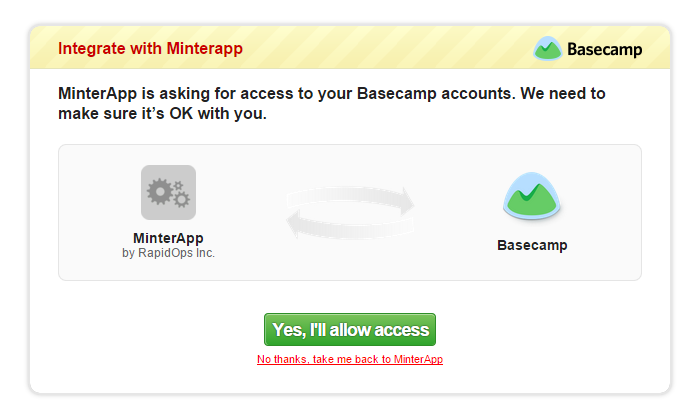 This will give you the ability to utilize Basecamp like you have never done before. Give it a try!